Hologram shrink sleeves the most reliable security solution that protects branded bottle goods against counterfeit and refilling. Hologram shrink sleeves the most reliable security solution that protects branded bottle goods against counterfeit and refilling. 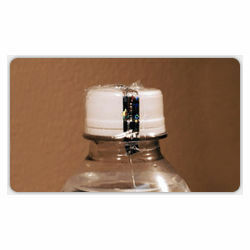 The tamper evident sleeves are applied on the necks of bottles as an additional seal. Once, the strip is pulled of it can be replaced. 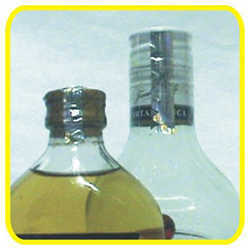 Our hologram shrink sleeves can be used for packaging beverages, spirits, condiments and processed foods. · Possibility for reverse printing to prevent marring & scuffing during transit. Can be custom designed with name of the company, logo, etc. We offer a wide range of SHRINK SLEEVES that are used to seal the caps of the bottles and to provide security against counterfeiting. These shrink sleeves are also used to enhance the shelf appeal of the products. Made from quality raw material, our shrink wrap sleeves are durable and reliable. Our array includes Regular Shrink Sleeves and Holographic Shrink Sleeves. These quality pvc shrink sleeves can be attained at competitive prices. Possibility for reverse printing to prevent marring & scuffing during transit. 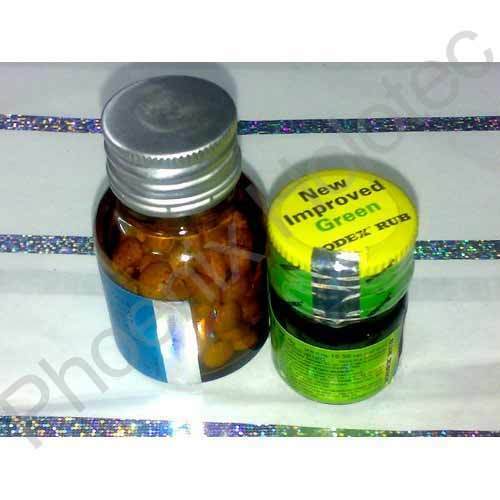 Provides proof for authenticity of the bottled goods. Looking for “Hologram Shrink Sleeve”?